Language is one the barriers when it comes to communication between persons of different race,tribe and country. The tech frontiers are working hard to breach that communication using Artificial intelligence and that came the advent of Travis. Travis is a device that can translate presently 80 languages spoken, more languages to be added in subsequent development and updates. Travis is a small portable usually device that listens for a language and translate to the needed language. It comes in handy when you are traveling to another region where a different language is spoken. Travis takes less than 2 secs to translate languages, this most ordinary voice translator don’t beat. Travis works online and offline for translation as it packs in dedicated application for each language. 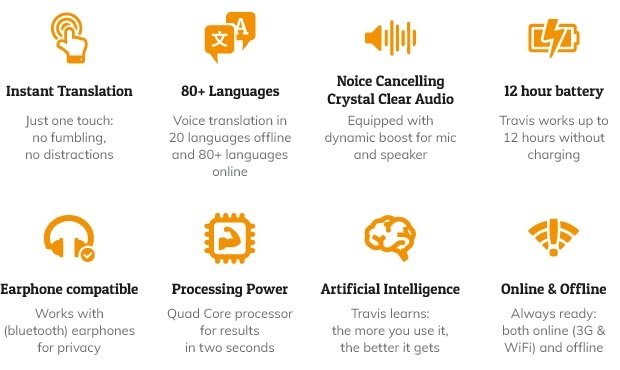 Travis can hold up to 12 hours when fully charged powering quad-core and cancels noise from the environment for better translation. 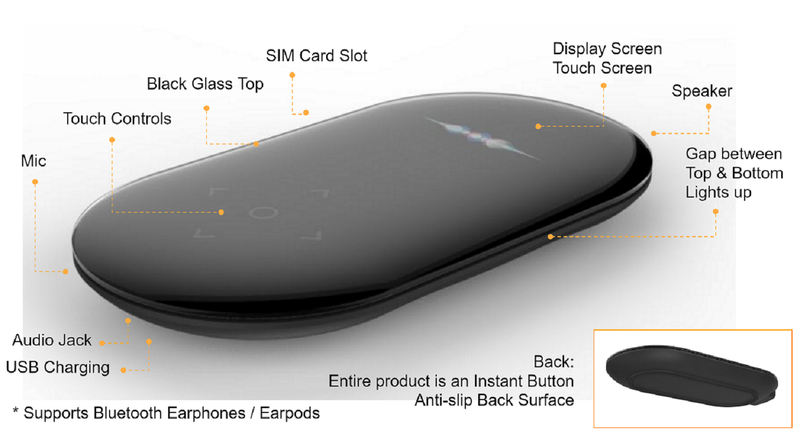 It comes with a sim card slot, four directional touch controls and touchscreen enabled display. Travis is used in conversation like a regular human translator, you speak into it a language say French, it translates to the language your listener understands, then your listener can also reply in his own language, travis then translates back to French. Travis can be used with a wired/wireless earphones if the speakers are loud enough not to hide your private chat. The developers of Travis made this translator to help brig people together, if maybe fall in love. Language barrier has been a problem for human race. A traveler can find to easy to talk with people in a different place conveniently.